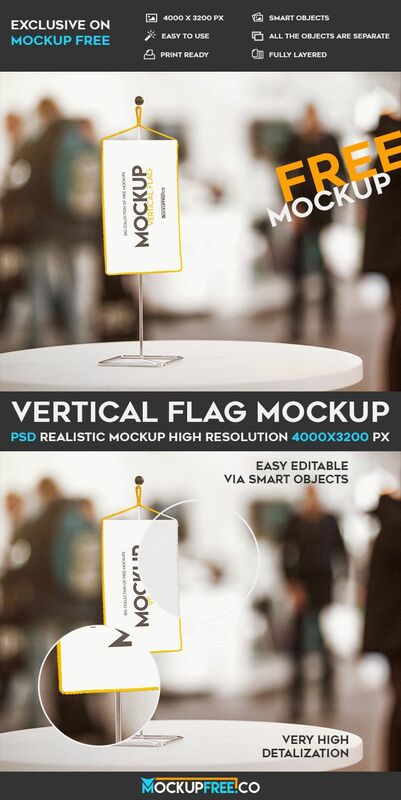 Our new Freebie for you is Vertical Flag – Free PSD Mockup! This PSD mockup is professional and very qualitative. It was created by our designer and can be used as many times as necessary for your private and commercial needs. The vertical flag mockup can be used for adding there the necessary design, creating presentations and make it as a part of branding identity for your client or company.